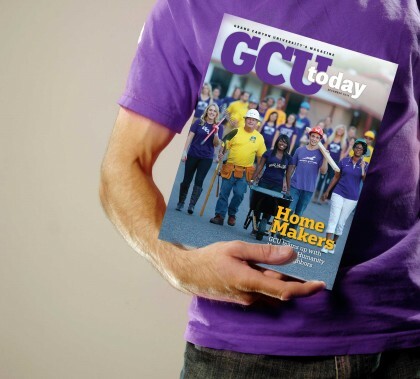 The latest edition of GCU Today Magazine — featuring a comprehensive look at the University’s new plan to strengthen its west Phoenix neighborhood — is available here. The December issue also has a story about GCU nurturing its spiritual-life roots, a feature on the men’s basketball team’s debut on the national sports stage and an article about what a new name and a new dean mean for students in the Colangelo College of Business. Don’t miss our stories about alumni Gustavo Anton’s journey to medical school and Michelle Lara’s road to recovery from a near-fatal accident, plus a profile of online student Komi Lokossou, a broadly smiling goodwill ambassador on GCU’s main campus. 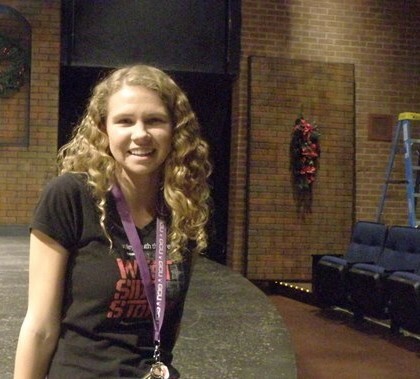 Faculty and students in GCU’s dance department have been working on their winter dance show, “Balance/Opposition,” since last fall. On Friday and Saturday, beginning at 7:30 p.m., the talented artists will present a sophisticated series of pieces that communicate the trials of humans through movement. 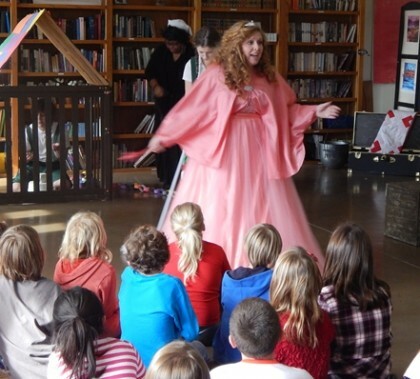 Be prepared to laugh and cry. 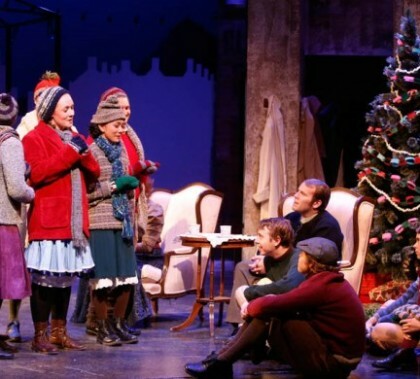 Christmas memories from across the pond come to GCU’s Ethington Theatre this weekend and next, as the College of Fine Arts and Production presents “A Child’s Christmas in Wales.” Several of the shows are sold out, but there are seats available for Nov. 21-23, and a waiting list is available, too. Photos by Darryl Webb GCU News Bureau GCU’s band program rocked First Southern Baptist Church of Phoenix on Tuesday evening during “Boom! Pluck!” The concert featured music by the Thunderstruck Percussion Ensemble and was the debut of the University’s new Guitar Ensemble. The strengthing of and reliance upon faith during tough times is a key theme of the 2014-15 choral series in the College of Fine Arts and Production’s music department. The series begins Thursday evening with the Masterworks Concert I, and GCU Today has a preview here. 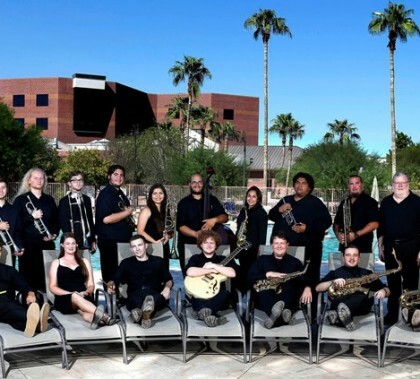 GCU’s band program has been growing in stature and size since director Paul Koch took over two years ago, and this year is adding a Guitar Ensemble to its repertoire. The first concert of the 2014-15 season, “Java and Jazz” with the Thunder Big Band, is 7 p.m. Tuesday in the Student Union.